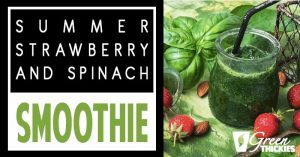 The great thing about this strawberry and spinach salad smoothie is it’s so simple, just blend a punnet of strawberries, water, oats, cashews and spinach. 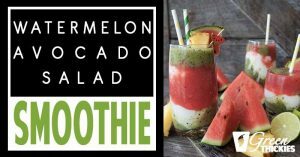 I will show you how to make a watermelon smoothie out of my favourite salad recipe so you can make a salad and a smoothie at the same time. 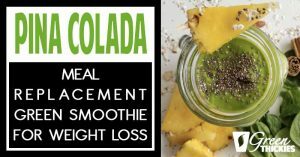 This delicious breakfast pina colada meal replacement green smoothie for weight loss will totally satisfy your sweet cravings and fill you up until lunch time. 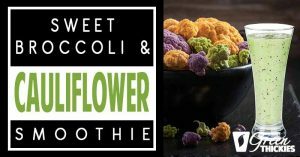 I loved the fact that this sweet and sour drink contained broccoli and cauliflower which is another option if you run out of leafy greens. Here is a delicious collection of meal replacement smoothies for weight loss without hunger. Hi, I'm Katherine. I lost 56 pounds and recovered from Chronic Fatigue Syndrome by replacing meals with Green Thickies - my original green smoothie concept. Read my inspiring comeback story, From Fat and Fatigued To Lean and Loving Life In 4 Months. Make it Green, Thick and Quick. Make Your Healthy Habits Stick! These filling nutritious energising green smoothie recipes will help you to naturally reach your ideal weight. Simply replace your breakfast and lunch with a delicious Green Thickie and make a healthy 400 calorie dinner and watch the weight fall off and your health soar. Or if you prefer to follow a structured plan, follow Green Thickies 7 Day Diet Plan to drop a dress size this week. Give your body a much needed detox and lose weight by taking the FREE 7 day Lean Green Smoothie Challenge. Get this FREE calorie counted detox with full meal plan, recipes and shopping list. This is the easiest, tastiest, fastest, most delicious, most effective detox you will ever do! How Much Green Smoothie Should I Drink A Day To Lose Weight? Make it Green, Thick and Quick. Make Your Healthy Habits Stick! Hi, I’m Katherine. 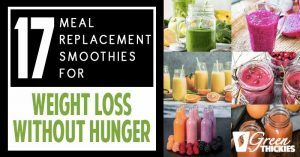 I lost 56 pounds and recovered from Chronic Fatigue Syndrome by replacing meals with Green Thickies – my original smoothie concept. Read my inspiring comeback story, From Fat and Fatigued To Lean and Loving Life In 4 Months. Important: The information contained in this website is for information only. The views provided are of the opinion of the author who does not hold any responsibility for any results or effects of the advice given. GP confirmation is recommended before making any changes that could affect your health. All images are copyrighted to their respective owners. GreenTHICKIES is a participant in the Amazon Services LLC Associates Program, an affiliate advertising program designed to provide a means for sites to earn advertising fees by advertising and linking to amazon.com, amazon.ca, and amazon.co.uk. Click the links to download the following documents. I join the following blog parties every week.